The UK Jewish Film Festival has announced this year’s Festival Galas for its 22nd edition. The 22nd edition of the UK Jewish Film Festival will run from 8th-22nd November 2018 at cinemas across London, Manchester, Leeds, Nottingham, Brighton and Glasgow. The opening, closing and centrepiece gala films have been revealed as Working Woman, Promise at Dawn and Three Identical Strangers respectively. You can find details on each below. “We are proud to announce Working Woman, Three Identical Strangers and Promise at Dawn as our gala films for 2018 - from Israel, USA/UK and France respectively. Working Woman is incredibly current, tackling the issue of sexual harassment in the workplace, and we are delighted that an amazing 38% of our films this year are from women filmmakers. Our Centrepiece Gala, Three Identical Strangers, is one of the most extraordinary and disturbing true stories of recent years, and Promise at Dawn has all the drama and epic scale that one could hope from a Closing Night Gala." The Closing Night Gala is Promise At Dawn starring Charlotte Gainsbourg (Best Actress Cesar Nomination) and Pierre Niney and directed by Eric Barbier. Nominated for the Dorfman Best Film Award and Best Screenplay Award, the Gala Screening will take place at Curzon Mayfair on 22nd November and then at the Komedia Brighton on 28th November. 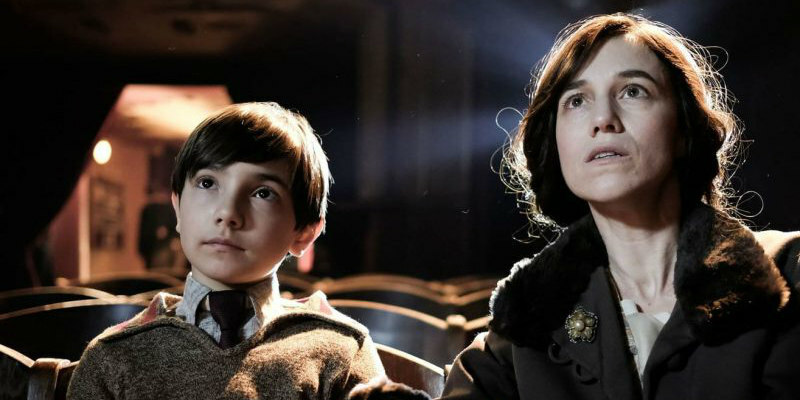 Charlotte Gainsbourg shines as the overbearing Jewish mother in this powerful adaptation of Romain Gary’s memoir. Believing in his potential from infancy and relentlessly pushing him to fulfil it, she was instrumental in her son becoming one of France’s 20th century literary giants. Although she is often delusional, her resourcefulness saves them from destitution in Lithuania and takes them to their promised land, France. Heartbreaking and funny in equal measure, Promise at Dawn is an ode to mother-child relationships – specifically Jewish yet universally relatable.